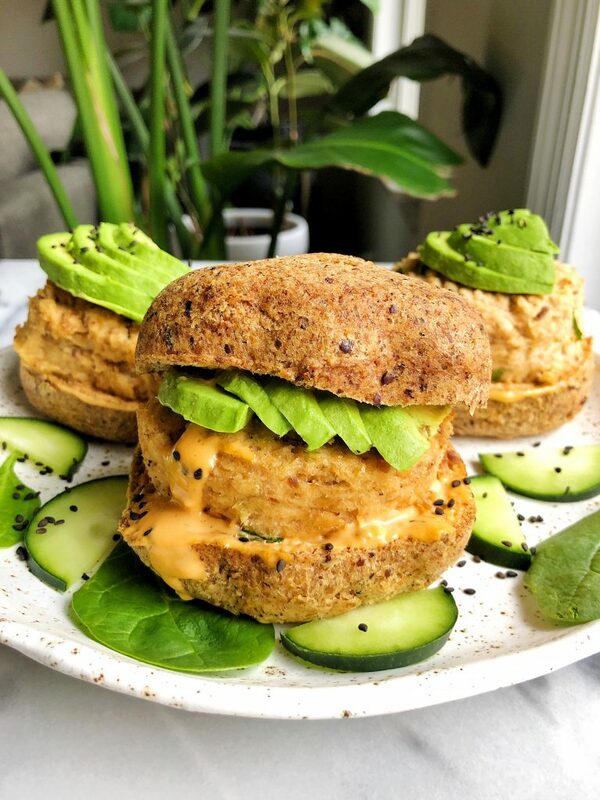 Oven-Baked Dijon Salmon Burgers made with just five gluten-free and dairy-free ingredients for an easy healthy dinner recipe! Have you noticed my obsession with salmon burgers yet? 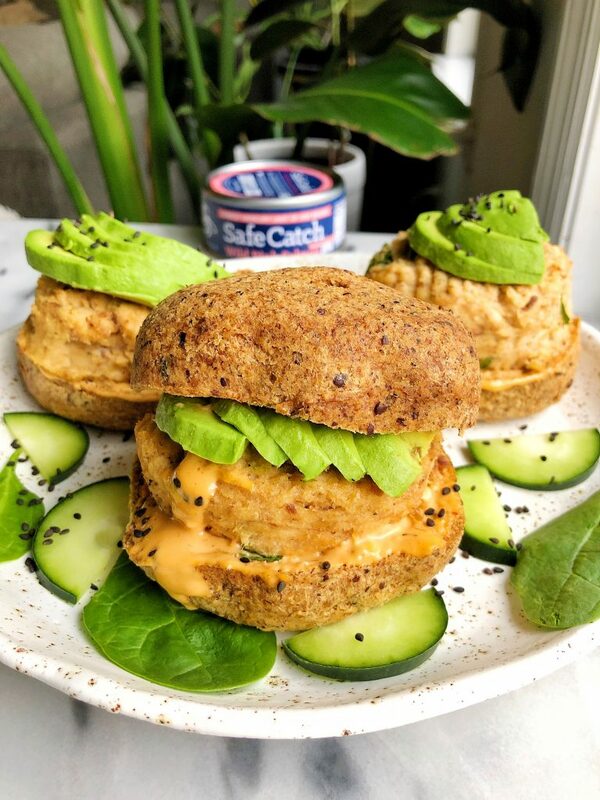 Over the past year, I have made a handful of various types of salmon burgers and the obsession just seems to be getting more and more insane every single time I make them. As someone who loves eating salmon, I am a bit particular about the quality of the salmon I eat, making it a bit harder to actually eat it these days. My favorite is Wild Alaskan King Salmon, the kind that is so thick and fatty and fresh. Grill it or broil it so it’s crispy on the outside and soft butter-like center – SO GOOD. But being that that type of salmon is both expensive and just rare to find, I love having my wild salmon cans on hand from Safe Catch. I always use their salmon in my homemade burger recipes as well as those salmon quesadillas! Safe Catch tests every single can for mercury and for both their wild tuna and wild salmon, it is the lowest mercury limit and they also use an artisan cook process. There are no added fillers or anything either – just pure salmon and it is sustainability caught (heck YES!). But now let’s get back to these Oven-Baked Dijon Salmon Burgers. They are egg-free, grain-free, paleo and oven-baked so there is no crazy mess or smell in the kitchen. I do love crisping them on a pan too, but that is totally optional. I use ingredients like almond flour, avocado mayo (sub egg free mayo if needed) and spoonfuls of dijon to perfect the flavor in these gems. They are one of my faves to prep earlier in the week and heat up with a toasted bun and some sweet potato fries for dinner at night. I hope you guys love these as much as I do. 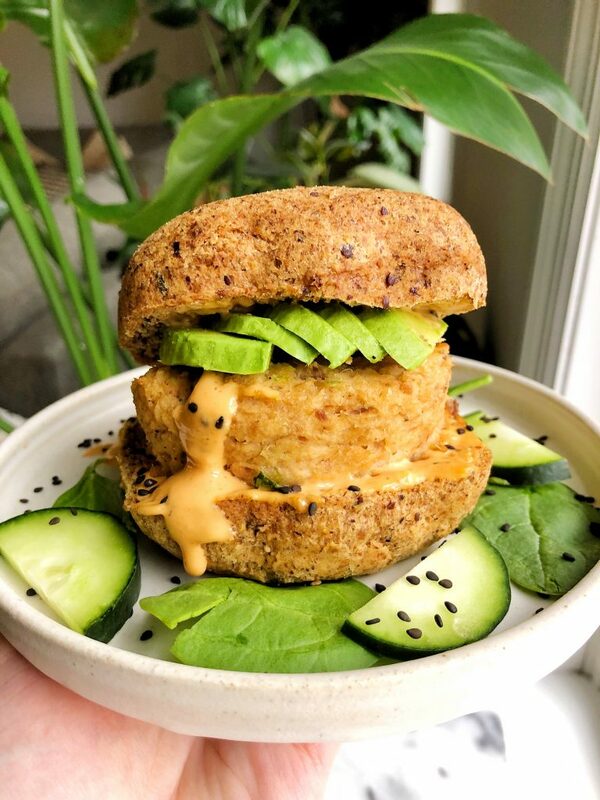 Here are a few of my other favorite burger recipes from the blog too: Paleo Jalapeño Salmon Burgers, Sweet Potato Bun Lamb Burgers, Skillet Turkey Burgers and Whole30 Veggie Burgers. For serving: buns of choice, avocado, greens, anything you are craving! Look amazing!! What type of bun did you use in these photos? thank you!! a paleo bun! Can these be made with fresh salmon?! Would you just cook salmon before? Thanks! i haven’t tried! but i’d use uncooked salmon, otherwise it’ll be way too dry!